Today we were official beginning The Ridgeway trail, but we got off to a shakey start. 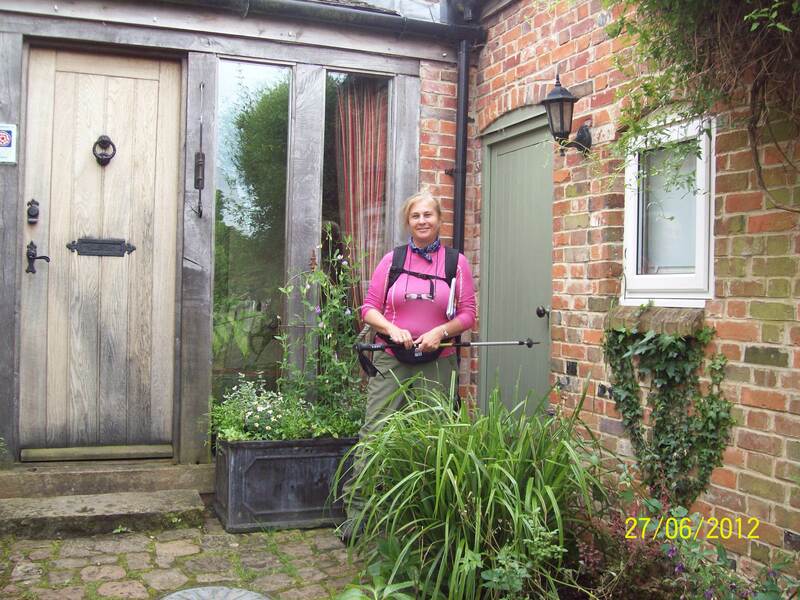 The B&B owner recommended a non-muddy shortcut to the start of the walk and we took it, and got lost. It took us 45 minutes to get back on track and at the start of the Ridgeway proper. Both last night and today we noticed a lot of travelers around. Not really gypsies, but young people attracted by the life on the road, the druids and ancient spiritual stories associated with this area. 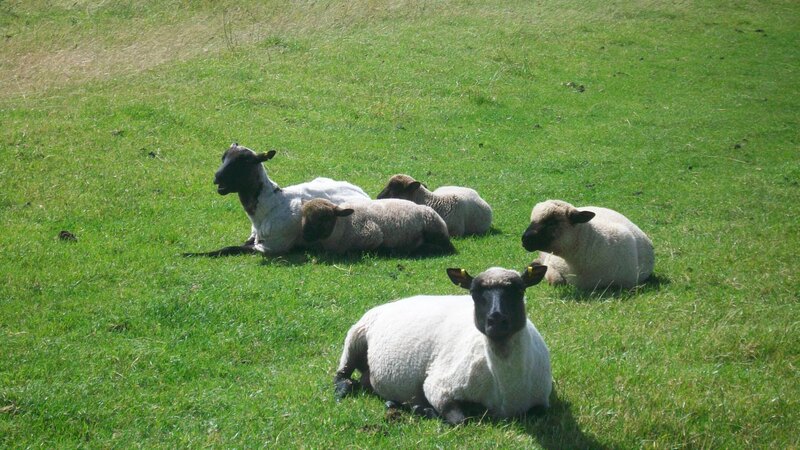 They were very friendly, and soon disappeared as we moved away from the Avebury area. 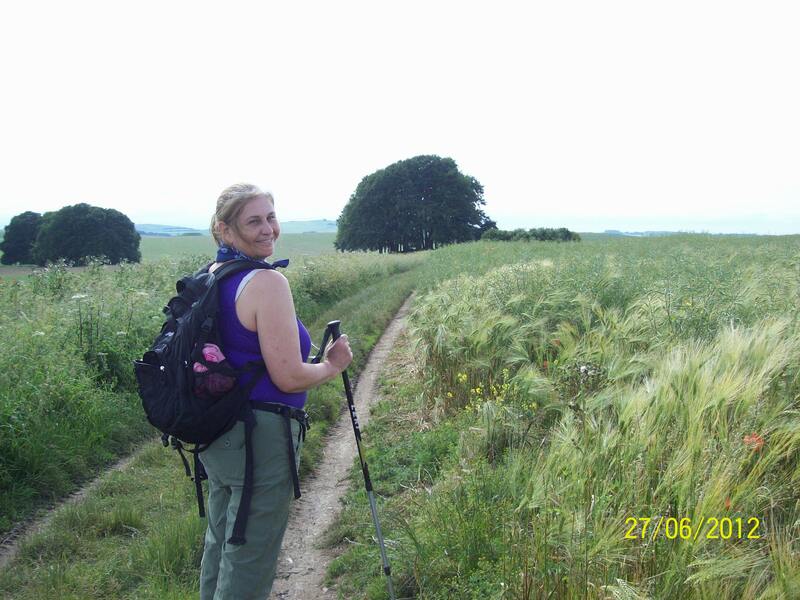 Today’s goal was 9 miles to Ogbourne St George, passing through some very pretty country and more ancient sites. 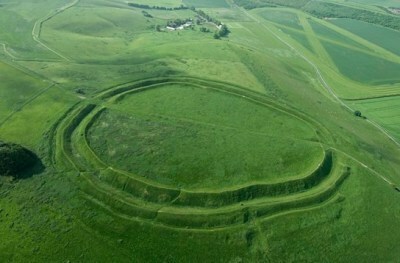 The first stop of the day wasBarburyCastle, one of several iron age hill forts on the trail. Most people hear the word “castle” and think of traditional stone castles that we all know from watching Robin Hood movies. However, preceding these more well-known structures were wooden castles built in elevated locations for protection. Today, of course, all that remains are the raised footings and sloping sides of the moats. But with a little imagination you can still see their importance to ancient tribes and how they would have protected them from marauding enemies. 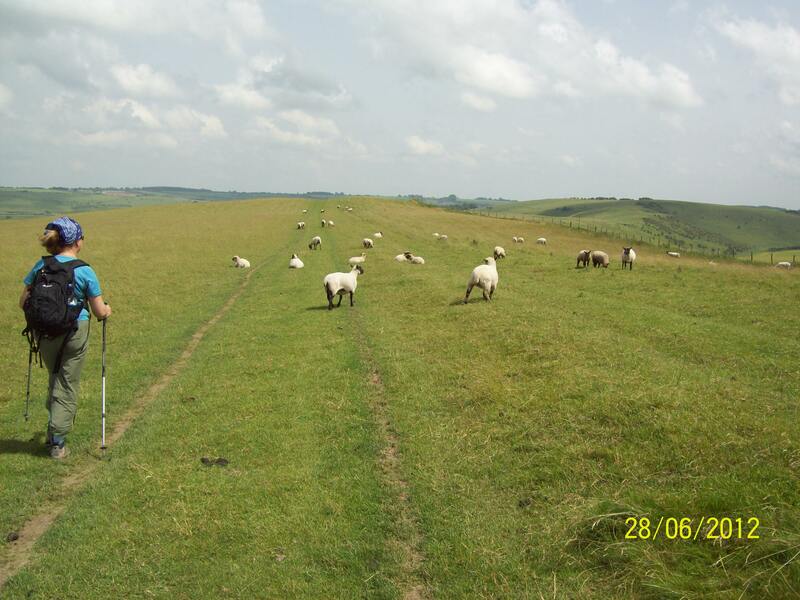 Further along the path came the next interesting part of the walk, the beautiful Smeath’s Ridge – a wide grassy trail along the ridge of a hill covered in grazing sheep. 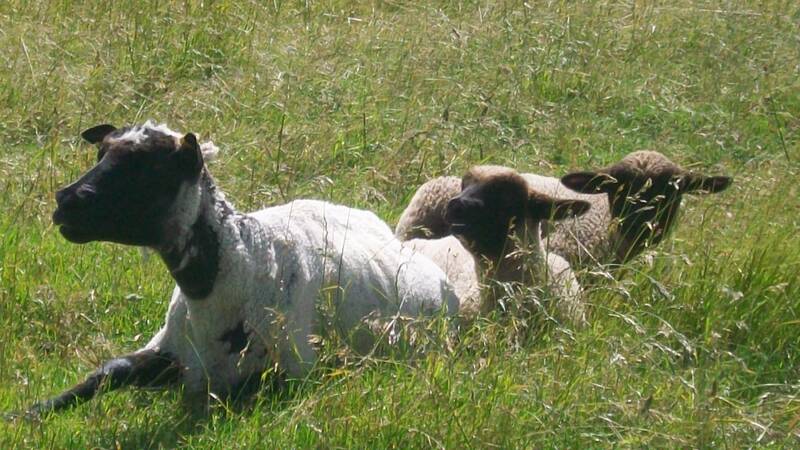 The farmer’s sign on the gate warned walkers to stay to the path as mother were still protecting their young, and we saw plenty of evidence of older lambs with their shaven mothers all over the field. Along with the horses and cattle in adajecent fields it really was the picture perfect English countryside scene, especially now as the sun had come out. We relaxed for quite a while on a well-placed bench, enjoying the sun, the views and the white fluffy clouds. The last view miles of walking into Ogbury St George involved a little road walking. We cheated a little, cutting off a corner of the official path as it really didn’t make any sense to walk in a big loop around the outskirts of the village when our room for the night was in the centre of town. The village was pretty but the pavement walk on top of the previous 9 miles was hard on the legs. Our bed for the night was at The Inn with the Well, and we have a very acceptable room in purpose built accommodation next to theInn. The evening was sunny and pleasant, and after a pretty good dinner from the Thurs Curry Night menu, we turned in early for the longer day tomorrow.